Harry Potter is unarguably one of the biggest phenomenons to have ever happened to us. Even after years of completion of the main series, Potterheads across the world still engage themselves in the fandom and relive the glorious days by reading the books or watching the movie marathons. J.K Rowling is unarguably a master of words, having left an entire generation spellbound. However, what many people don’t realize is that there are a few characters from the series, which have been named after the stars in our endless sky. So if you are an astronomy buff and a Potterhead, then you can set yourself a challenge of finding these stars in the night after spending the entire day watching movies. Either way, it definitely makes a good challenge to track down these particular bodies! All you need for this is a star map, a good pair of binoculars or a telescope, a lawn chair and a place, far away from the city lights. ⦁ Draco Malfoy Harry’s arch nemesis, Draco is definitely a character that has been subjected to both love and hatred. Interestingly enough, he is named after the eighth largest constellation in sky of the same name. Derived from the Latin, Draco literally means dragon, or a huge serpent. This constellation has 14 stars in it, all of which are spread in a pattern similar to that of a snake. This is definitely in line with his house at Hogwarts - Slytherin, isn’t it? Moreover, even his son Scorpius Malfoy is named after one of the many constellations in the zodiac. As the name suggests, this constellation looks like a scorpion and takes a fine eye to spot it. ⦁ Luna Lovegood She is definitely a character which we all love. As a Ravenclaw, she was a part of the Dumbledore’s Army, while charming the audience with her curious personality. Luna has been derived from the word Lunar, which is related to the moon. Now we all see the similarities between her milk white complexion and the marvelous moon, don’t we? ⦁ Remus Lupin Harry Potter and the Prisoner of Azkaban is where we first came across him and he hasn’t left our hearts since. As we all know, he is a werewolf, which also fits in perfectly with the related constellation. Rowling ended up taking a very clever twist on this one, since in Latin, Lupus means wolf; which is also the name of the constellation. Needless to mention, Lupus constellation looks like a wolf, comprising of nine main stars in total. ⦁ Centaurs These are the mythological creatures that are half horses, half humans. We all remember that scene from the Order of the Phoenix where Professor Umbridge is carried off into the woods by the centaurs. As it turns out, centaurs can be seen in the sky too, right next to Lupus in the Centaurus constellation. Since this is one of the largest constellations, it can be quite tricky to spot it completely. ⦁ Bellatrix Lestrange and Sirius Black One of the lead antagonists in the series, Bellatrix takes the name after the star in the Orion constellation. This star can be spotted fairly easily, since the Orion constellation is one of the most distinct ones in the sky. As for Sirius it is a part of the constellation Canis Major, and can be spotted without any difficulties since it is the brightest star in the sky. 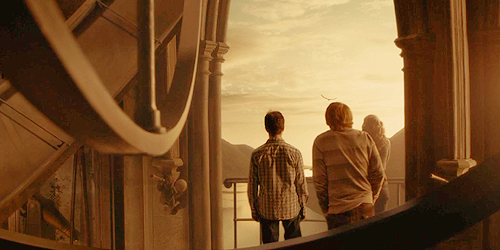 It shows us light in the darkest of the times, just like Sirius showed Harry. Coincidence? ⦁ Merope Gaunt For those who aren’t the full fledged Potterheads, Merope Gaunt is the mother of Tom Riddle, also known as Lord Voldemort. She has been named after the star in the Taurus constellation, which is also a part of the Pleiades cluster. As you might have noticed at this point, there is just so many unbelievable coincidences with regards to relation between different stars, constellations and the characters of Harry Potter. Finding and watching the stars related to the characters of the book and the movie would be simply an amazing and exciting journey for anyone that used to be in love with the series of novel. Who is your favourite character and which star would you be willing to find first?